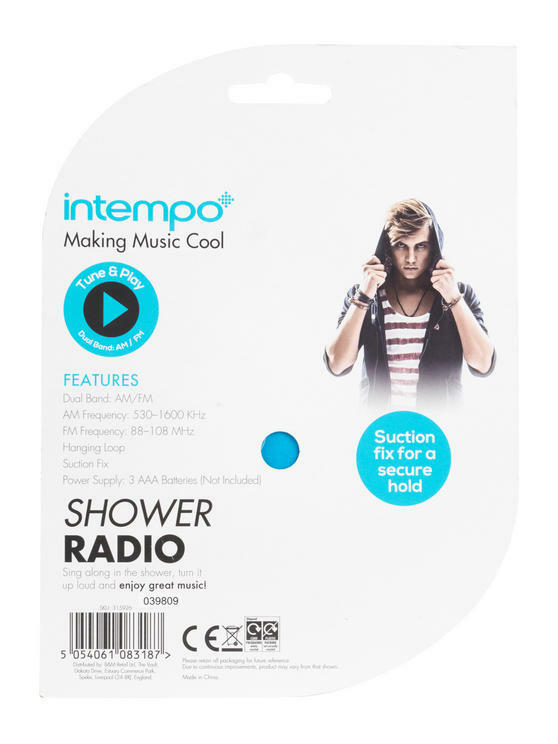 Sing a long in the shower, turn the volume up loud or enjoy your favourite radio talk shows during your morning routine with this fantast Intempo bathroom radio. 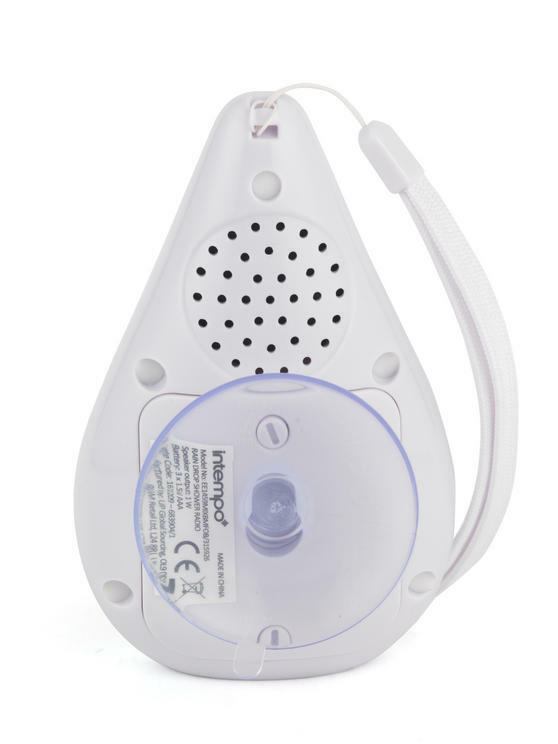 Using the suction cup or hanging loop you can install the radio anywhere in your bathroom. 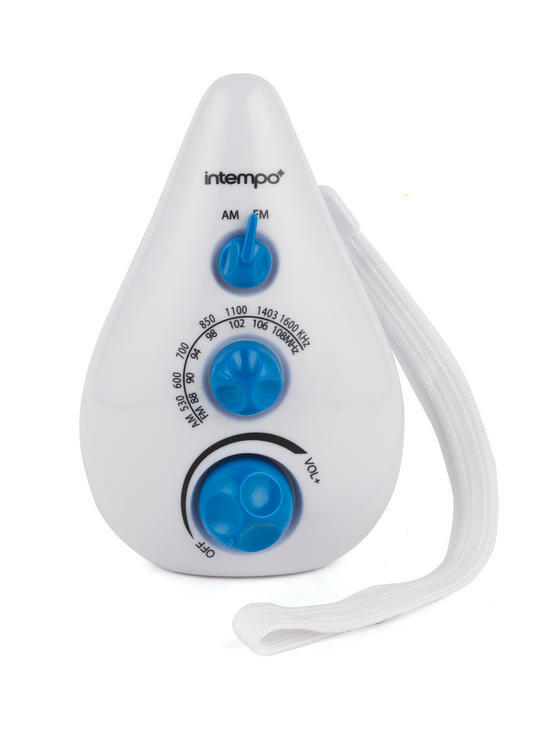 Designed with IPX4 splashproof technology there is no need to worry about water damage. With clear and easy to use dials, the dual band radio conveniently picks up AM as well as FM frequencies. 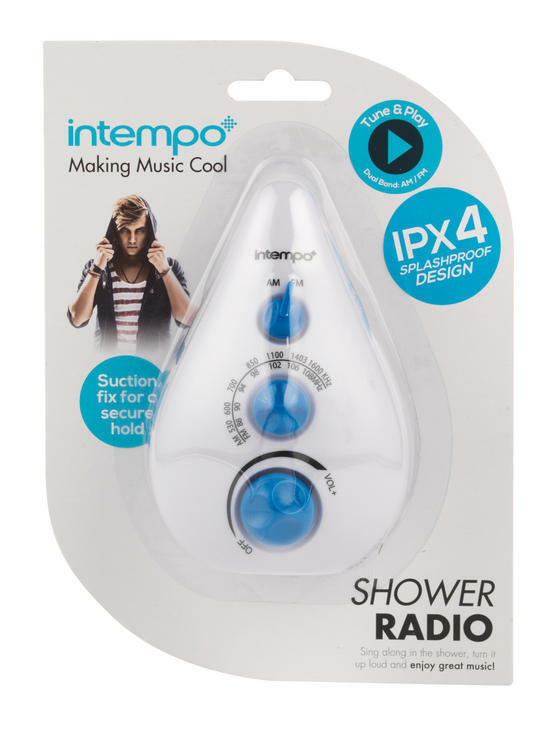 Sing a long in the shower, crank up the volume and enjoy great music with this superb Intempo Teardrop Shower Radio. This dual band radio conveniently picks up AM frequency 530-1600KHz as well as FM frequency 88-108MHz. 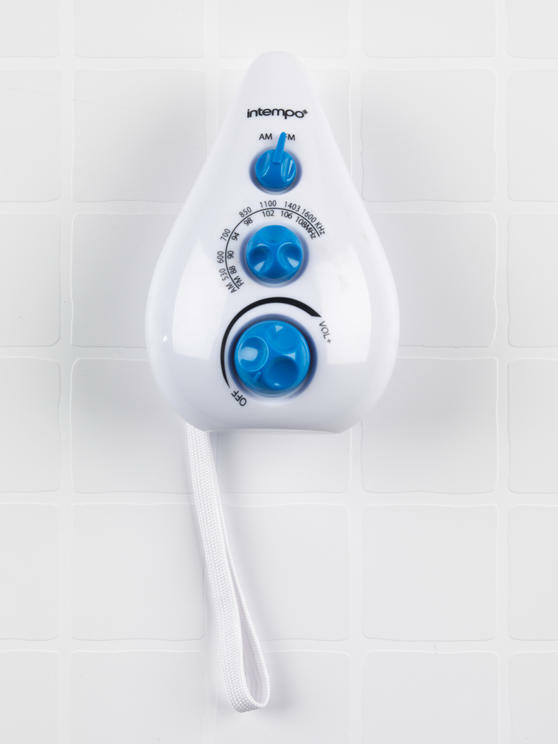 With an easy-carry hanging loop, attach the suction fix to any bathroom wall tiling or the glass door of the shower for a secure hold. The radio is powered by three AAA (not included) and includes easy-to-operate dials to change volume and frequency. 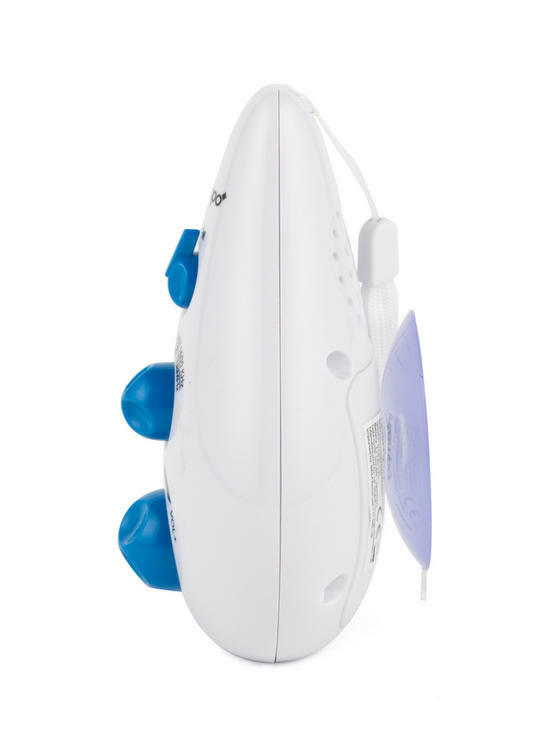 Designed with IPX4 splashproof technology, the teardrop shaped radio is perfect for use anywhere in the bathroom.